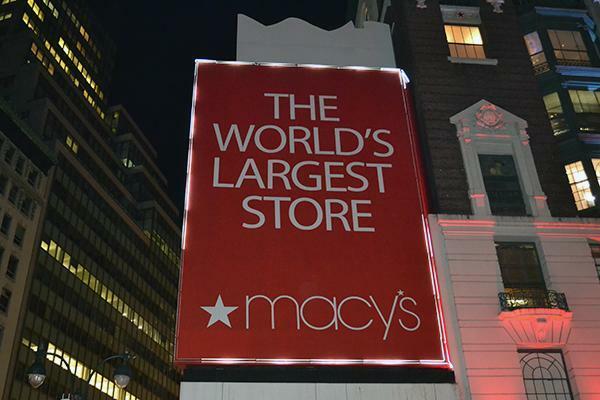 "Welcome to New York. 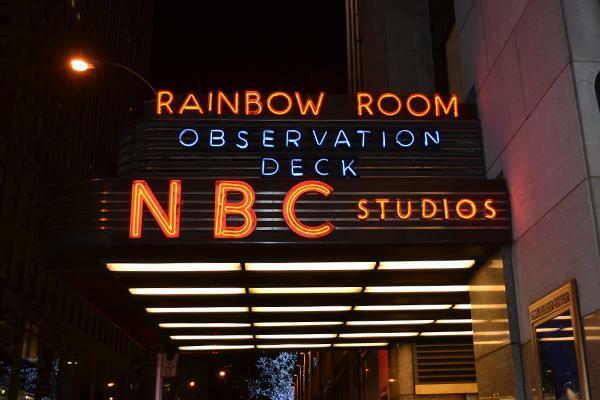 It's been waiting for you..."
Myself and Celina Pompeani break down tonight's game between the Penguins and the Rangers at MSG. 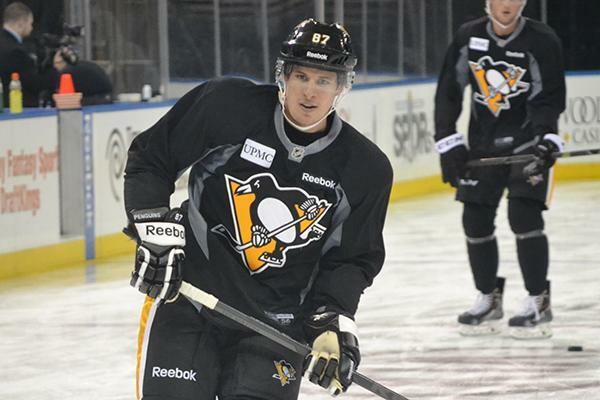 Coach Johnston certainly had his fair share of injury updates to give following the Pens' morning skate. Olli Maatta did not make the trip. He's back in Pittsburgh getting an injury re-evaluated. According to Johnston, "They just didn’t feel like he could play tonight, so they kept him back home." He added that it was not related to his tumor; it was from the Pens' last game. 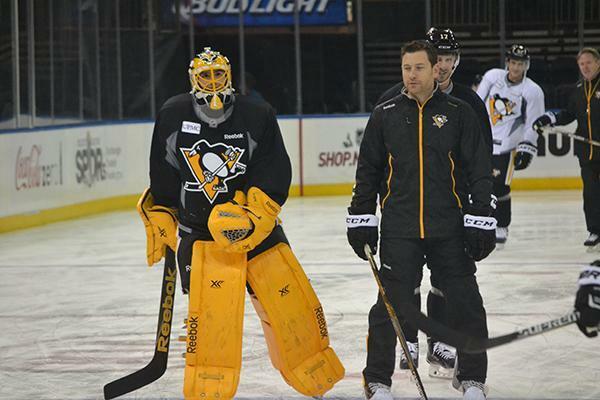 Johnston said they will have a full update tomorrow on Patric Hornqvist. "He’s still going through some tests, symptoms, (so) we’ll have an update tomorrow for sure." 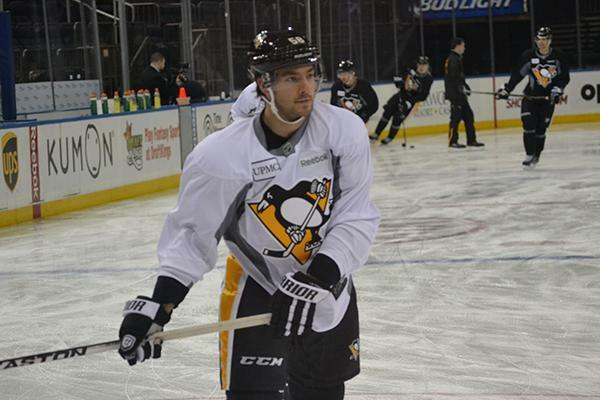 On Kris Letang, Johnston said "it was nice to see him out there on the ice. That’s the first step. Once we get him on the ice in a practice like that, he’s cleared to at least take a game-day skate. Now he’ll probably progress tomorrow into more of a full practice. Keep him out of the hitting drills. So the steps are in place right now to lead him back into playing, whenever that happens." Johnston said that Beau Bennett, who was injured Nov. 24 at Boston and was given a two-week timetable for recovery from his lower-body injury, "is still along the same timeline. He probably won’t even be on the ice, I wouldn’t think, until next week." With Maatta out, that means Robert Bortuzzo will slot into his spot in the lineup after serving his two-game suspension. Bortuzzo was paired with Ehrhoff during morning skate. Ehrhoff will fill in for Maatta on the first power-play unit. 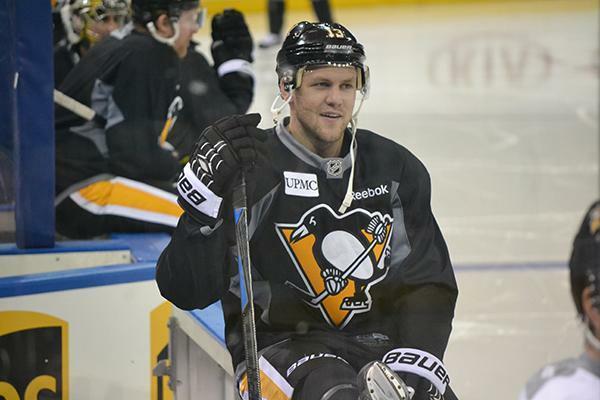 Patric Hornqvist and Olli Maatta were both absent from the team's morning skate. 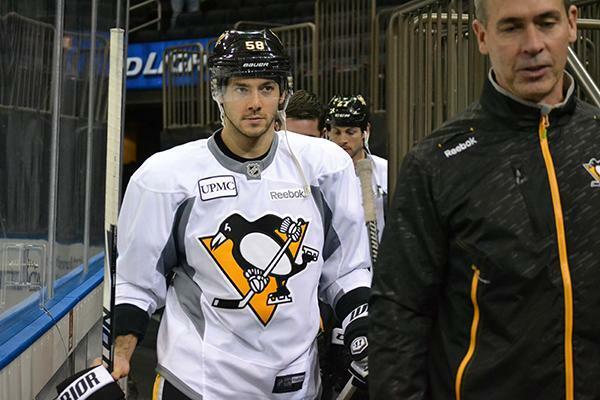 Injured defenseman Kris Letang (groin) was on the ice with the team. It looks like Evgeni Malkin will remain on the left wing with Brandon Sutter, something the team tried in their last game on Saturday against Ottawa. 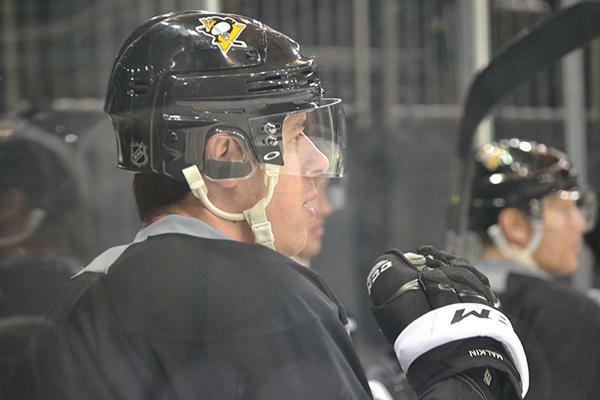 First power-play unit: Ehrhoff, Martin, Crosby, Malkin, Sutter. Malkin has now played all three forward positions this season, with at least seven different teammates (not counting the in-game adjustments that see him with Sidney Crosby after a penalty kill, for example). But despite the inconsistency, Malkin has been consistently excellent. He's having a terrific year. 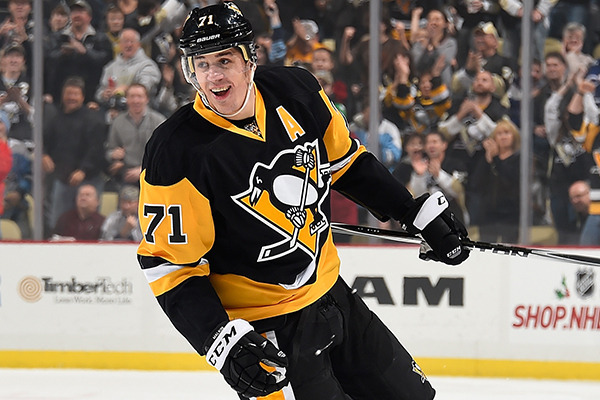 Malkin scored twice in Pittsburgh’s 3-2 win over the Senators to give him a team-leading 14 goals in 26 games. He has eight goals in his last 11 games dating back to Nov. 15 against the Rangers, when he had a goal and an assist. Since that night, Malkin is tied with Chicago’s Patrick Kane for the NHL lead with 15 points, while his eight goals place third behind only the Dallas’ Tyler Seguin and Florida’s Nick Bjugstad (nine each). 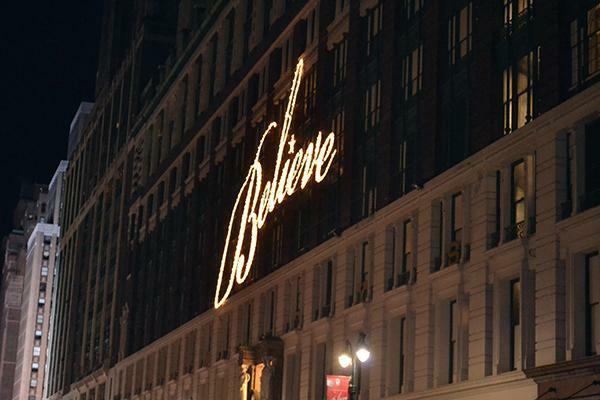 Since we got to our hotel in the late afternoon and I had a few hours to kill before dinner, I figured I'd wander around and get photos of all the festive holiday decorations for the blog (within walking distance, of course). 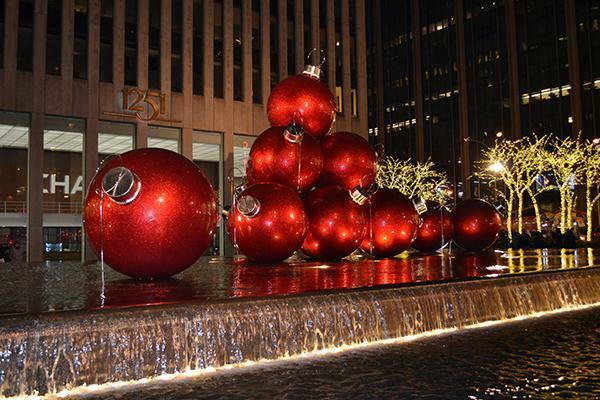 Christmas in New York City is certainly a magical experience. 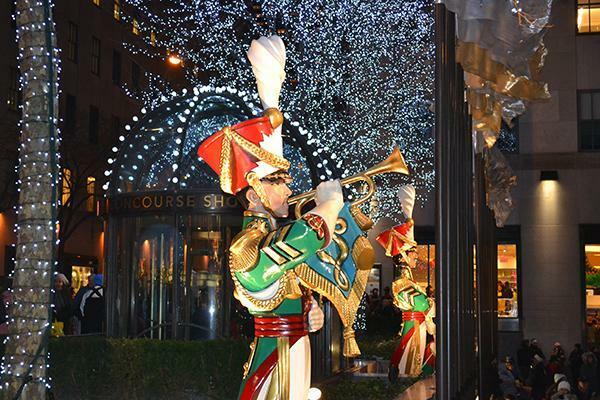 After doing some research, I realized the company's flagship store is known for its holiday window displays, which I did not know when I walked by it. Oh well. 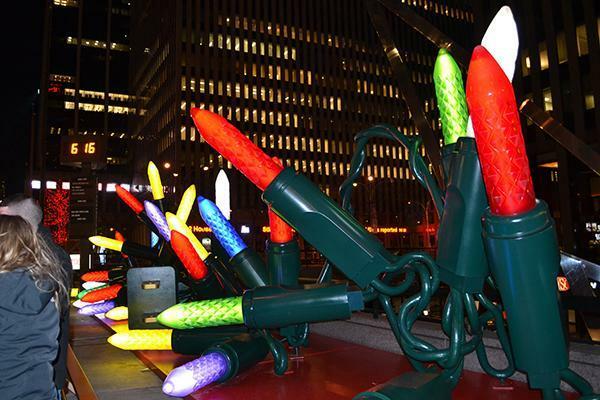 This is where the classic Christmas movie 'Miracle on 34th Street' was filmed. Remember Jimmy Fallon's superlatives using Penguins players last season? Beau Bennett: most likely to have frosted tips. 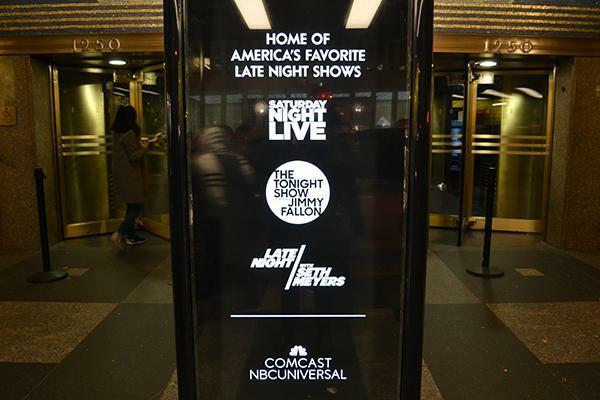 This is above the entrance to the studios. 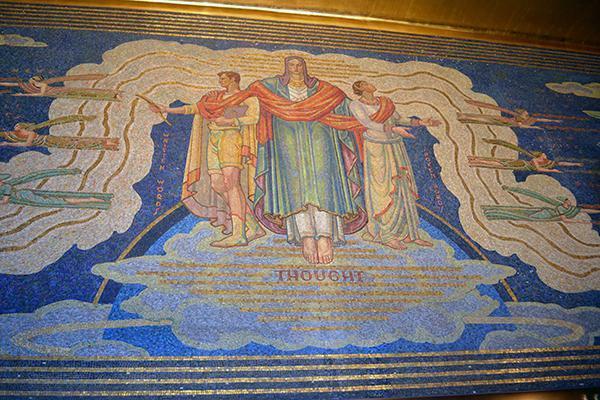 This shot is part of the opening montage to one of my favorite shows of all time, 30 Rock. The line that made me realize I was hooked? Jack Donaghy talking about Kenneth the Page in season 1, episode 3... "In five years we'll all either be working for him... or be dead by his hand." 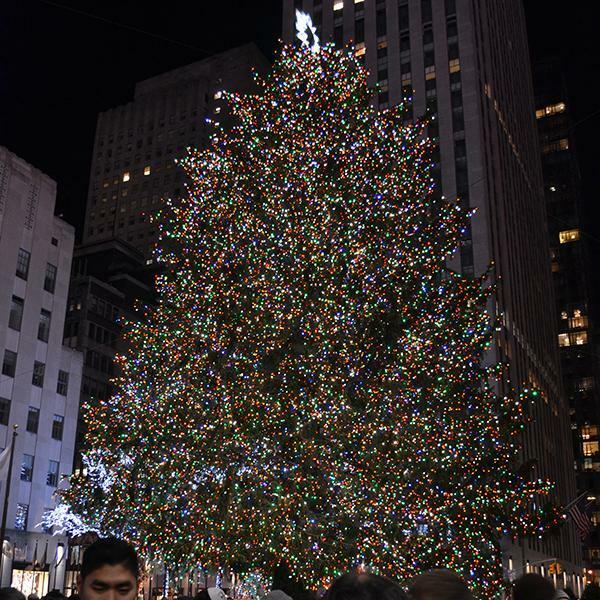 The Rockefeller Center Christmas Tree! It was incredibly crowded right around here. 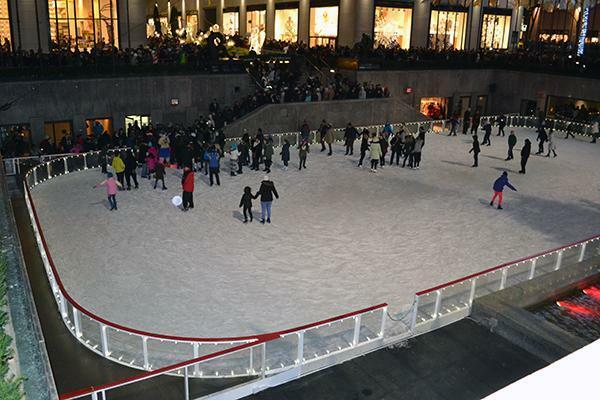 The outdoor skating rink at Rockefeller Plaza! 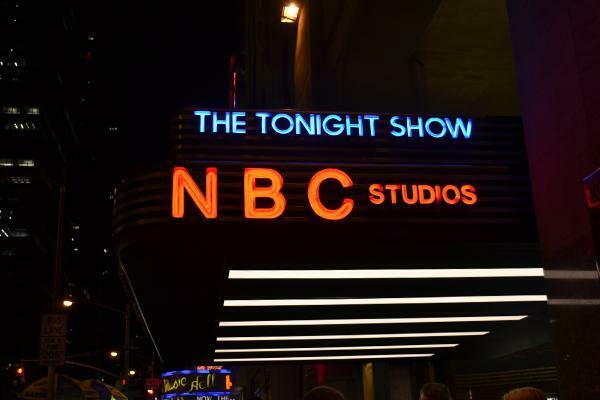 I did a standup in front of this once. It was a lot of pressure. People kept messing with me. 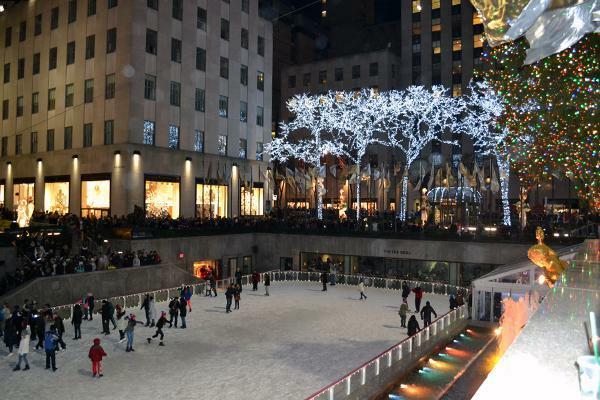 Discovered another outdoor skating rink on the way back to our hotel. 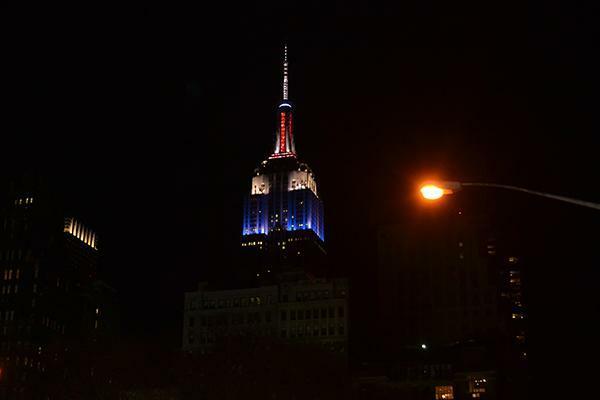 And finally, the Empire State Building all lit up! It's red, white and blue in honor of England's Prince William and Duchess Kate's visit to town yesterday. Sadly, I did not see them. Good morning Penguins fans! 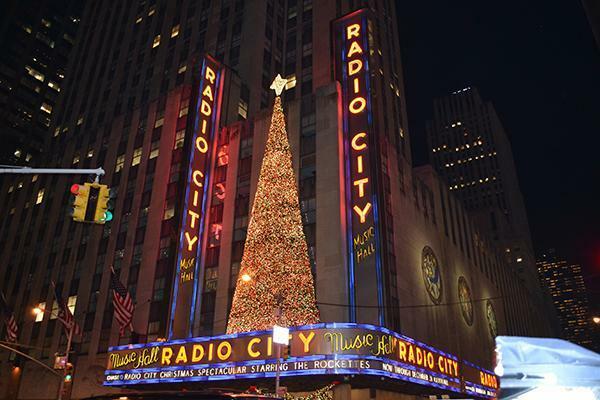 After having Sunday morning off, the team flew to New York City in the afternoon. 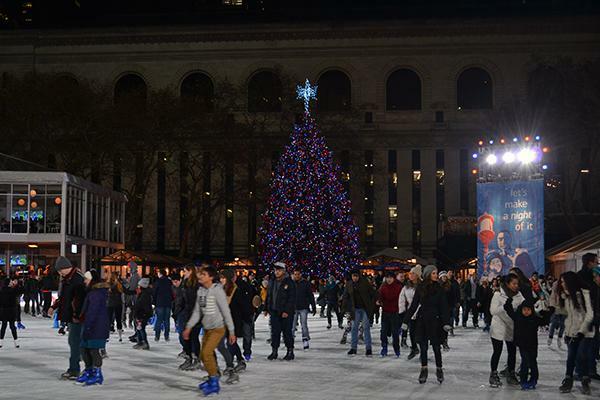 They're scheduled for an 11:30 a.m. morning skate at Madison Square Garden before they take on the Rangers for the third time (already?!) this season. 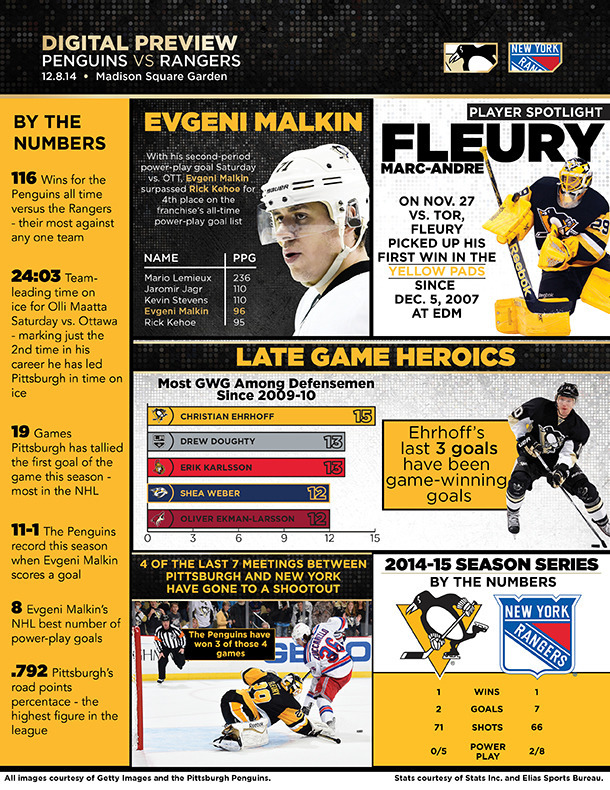 -In Pittsburgh’s last visit to MSG on Nov. 11, the Penguins suffered their most lopsided defeat of the year (5-0). -Including that loss, the Penguins have won 10 of their last 15 trips here to MSG. -Pittsburgh is 11-3-1 in its last 15 games against the Rangers regardless of location. -Four of the last seven games between the Penguins and Rangers have advanced to a shootout, with the Penguins winning three of those four that have gone to a shootout. 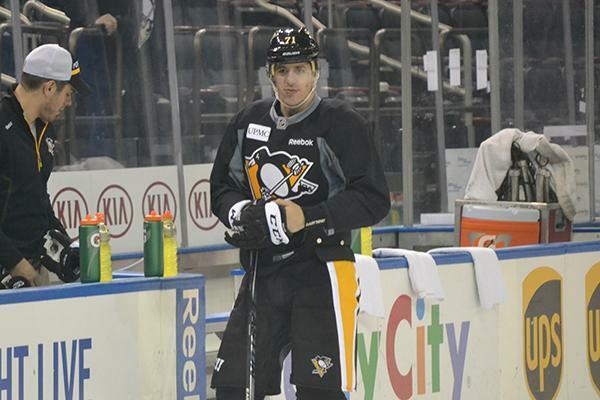 -The Penguins will be wearing their ‘Pittsburgh Gold’ third jerseys tonight. 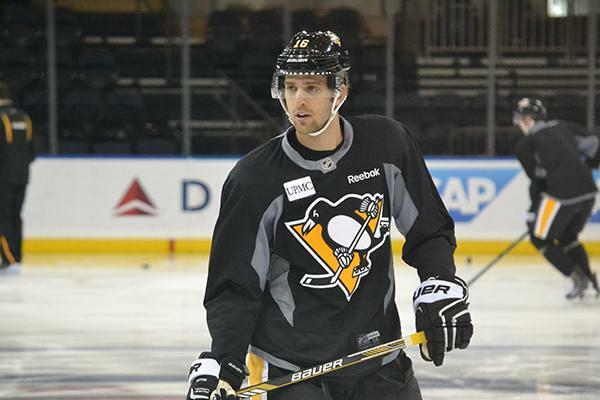 This is the fourth time this season – and first on the road – that the Penguins will be wearing these sweaters. 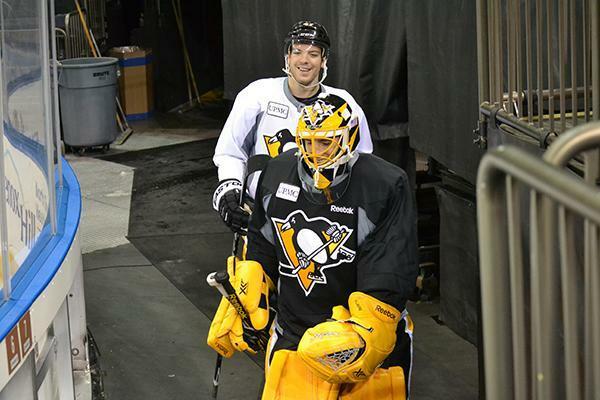 They are 2-1 in them, including a shootout win against the Rangers on Nov. 15 at CONSOL Energy Center. Since I am a 26-year-old female who loves pop music, was there ever any doubt as to which song I'd start the Penguins Report with?